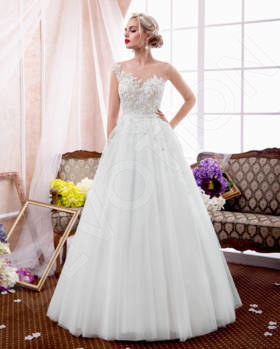 This elegant wedding gown with a hint of Italian style is perfect for the fashionista bride. 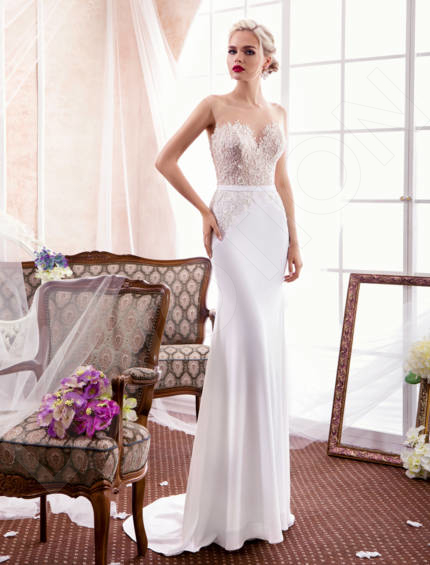 The lace overlay covering the upper part of the gown is luxurious and feminine, and the sequin appliqué adds a pop of sparkle. 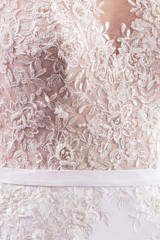 The thin sash highlights your slim waistline, and the form-fitting satin skirt grazes over your slender hips. The sweep train visually lengthens your silhouette and tops your look off perfectly. 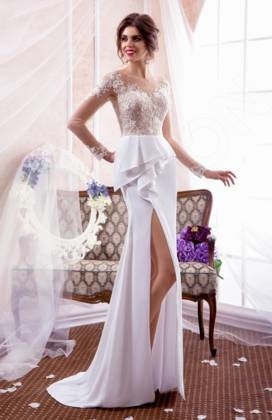 Be as graceful and delicate as a crystal statuette in this gorgeous gown.